I love book launches. They’re a great way to celebrate books, meet friends, and chat with like minded people. Then there’s the wine…. 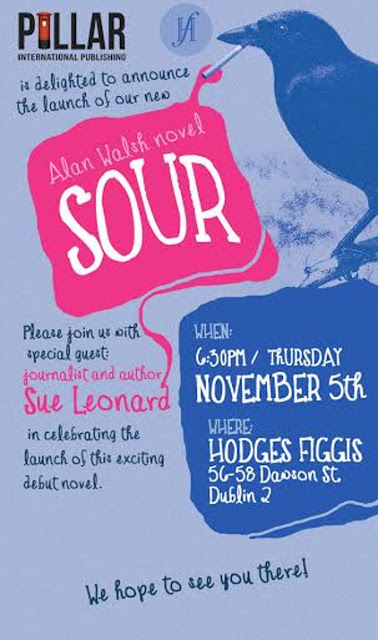 We had a memorable night on 5th November, when I did the honours – ie the speech – at the launch of Alan Walsh’s debut novel Sour, which is a modern retelling of Deirdre of the Sorrows. 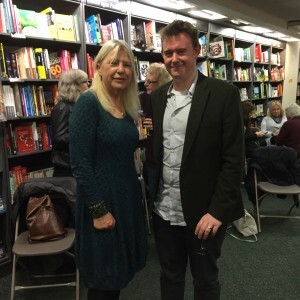 Many thanks to Alan for asking me, to Hodges Figgis for providing such a fabulous venue, to all Alan’s friends and family who came along to lend support, not forgetting Tony Canavan and Una MacConville who were there representing Books Ireland. Lastly, but by no means least- thanks to the lovely Liz Coffey who organised the event so skilfully. The craic was mighty!